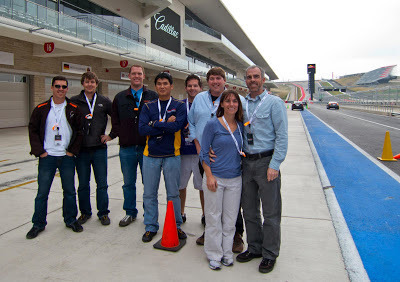 Through one of the Texas autocross clubs, I found out about an incredible opportunity to drive the Circuit of the Americas for FREE just a few weeks after the inaugural F1 race at the track. 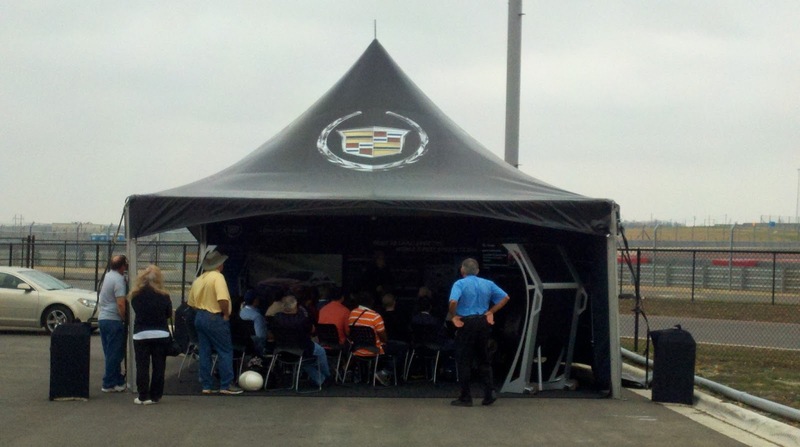 The event was a ride and drive event called the V-Series Performance Lab put on by Cadillac and gives prospective buyers the chance to sample Cadillac CTS-Vs around full-size racing tracks. I went with a group of co-workers back on December 9th of last year to Austin for the event and we had an absolute blast. 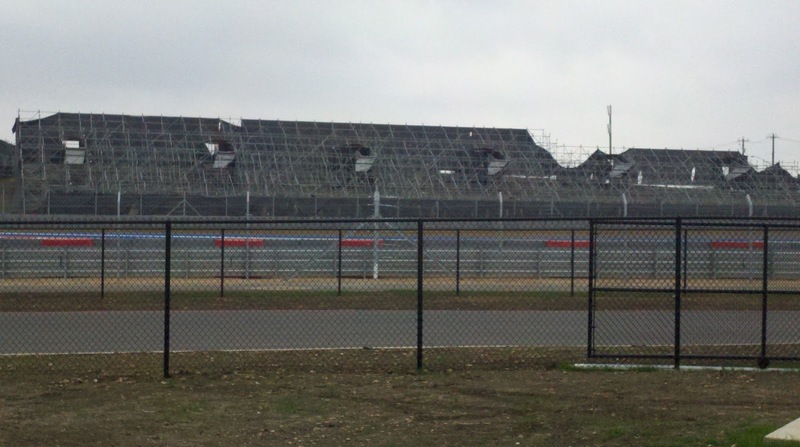 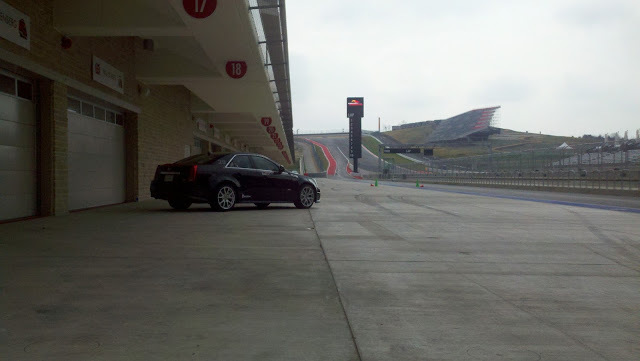 After a too-late-night on 6th street, we ventured to the track bright and early to start our free COTA experience. They got my name right! 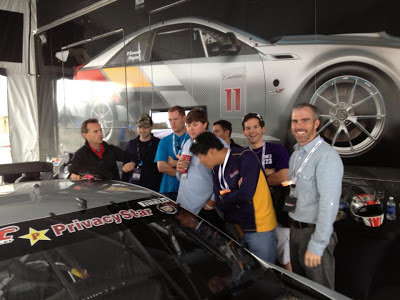 We were greeted by free breakfast and the typical ploy used to snare in car guys (hot girls in Caddy shirts...) followed by intro presentations by a Cadillac test driver and Andy Pilgrim. 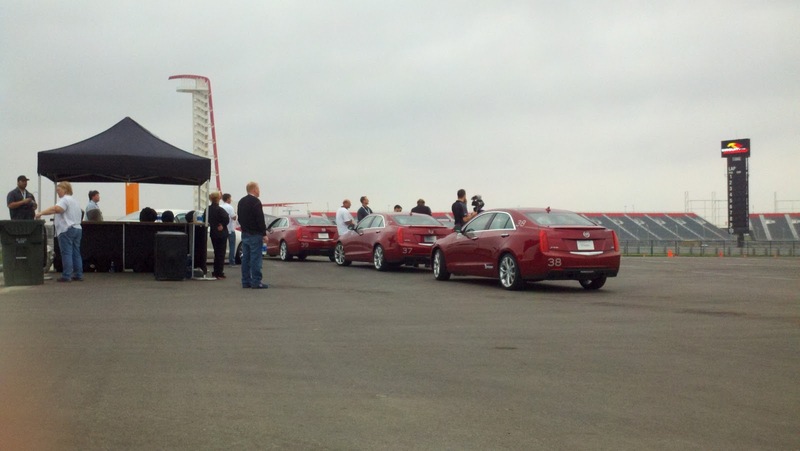 The 150-or-so attendees were broken into the three "modules" - filmed laps in CTS-V coupes, autocross-type elements in a Cadillac ATS, and more hot laps in a CTS-V Wagon or Sedan. The CTS-V coupe laps were filmed with a RaceLogic Video VBOX system and my video is embedded below. For the filmed laps, I drove a CTS-V Coupe with an automatic transmission. We had to run with stability and traction control on but it was still plenty fun...and safer for the brave instructors. 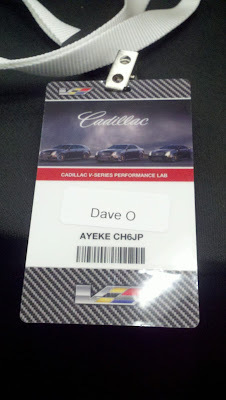 For my final module, I had more laps in what was supposed to be a CTS-V Wagon or Sedan, but ended up being a CTS-V Coupe manual which my instructor found for me. 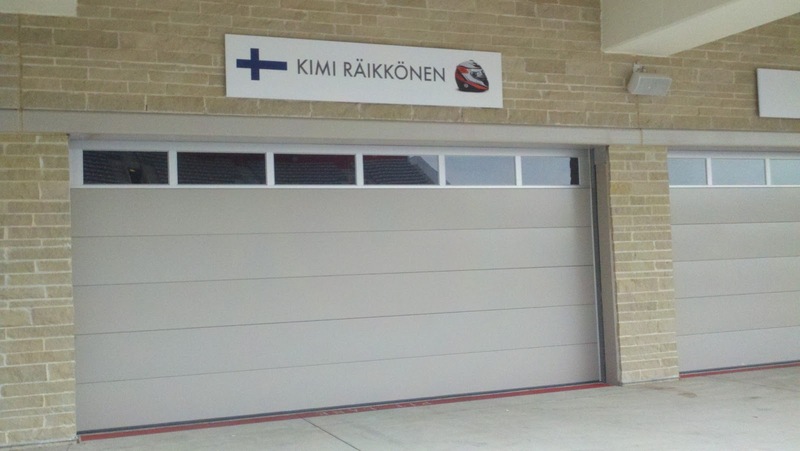 The manual gearbox made it even more fun as it allowed for much more control of the torque coming out of each corner (the auto gear selection was more of a guessing game). 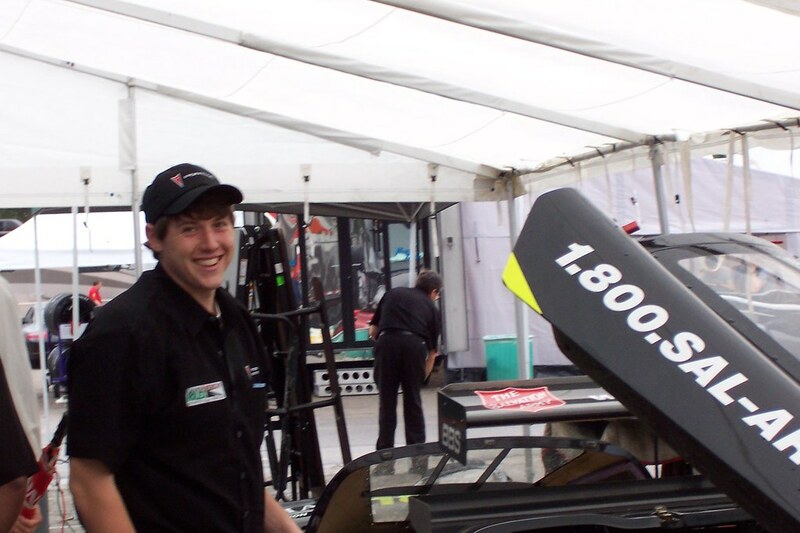 During my driving session, I found out my instructor was Matt Varsha, former Grand-Am race driver and son of SPEED broadcaster Bob Varsha. He had some great stories and I really enjoyed getting to meet him. Cadillac ATSs waiting for us at the "Autocross Module"
Classroom tent for the "Autocross Module"
Kimi's Garage on pit lane!